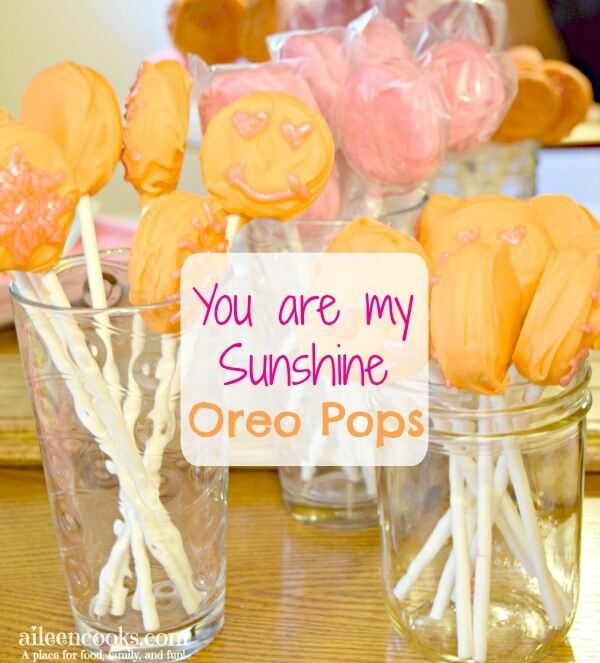 We had a you are my sunshine themed first birthday party for my daughter and I made these adorable (and tasty) you are my sunshine oreo pops to go with them. If you’ve never made oreo cookie pops before, then believe me when I say they are easier than you think. 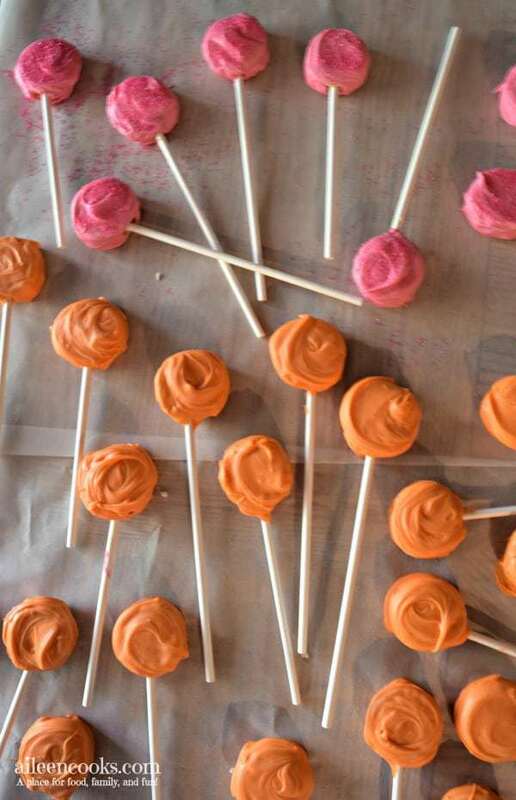 This tutorial will show you the simple way to make oreo pops and how to decorate them to match into adorable pink and orange suns. 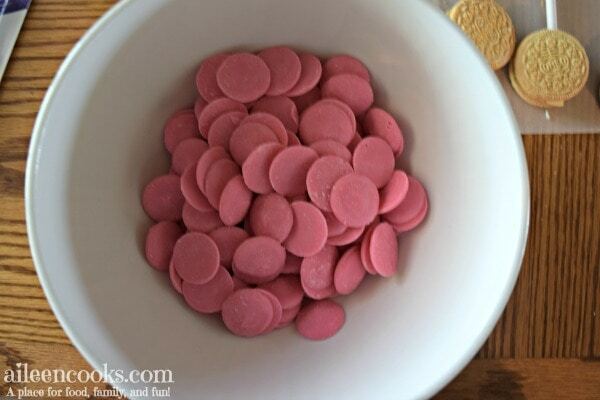 Start by melting the bag of pink candy melts. Cook them in the microwave at 50% power for 1 minute. Stir and cook for another 30 seconds at 100% power. Continue to stir and cook in 30 second increments until the candy melts are fully melted. Gently remove one half of the golden oreo cookies. Using one of the candy sticks, create an indent into the filling. Remove the stick and dip it into the melted candy melts. 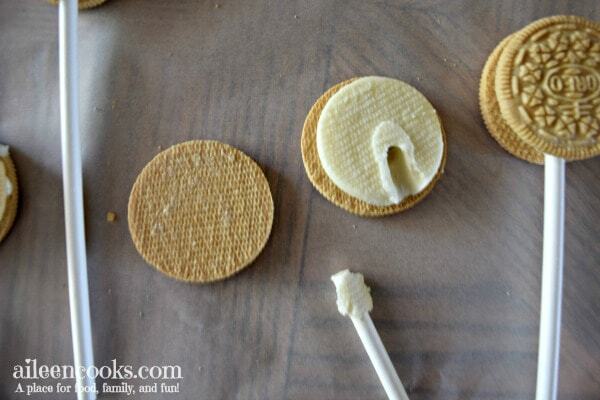 Replace the stick into the indent and place the other half of the cookie back on top. The candy melt works as the glue. Continue to do this with the entire package of golden oreo cookies. Let sit 5 minutes. 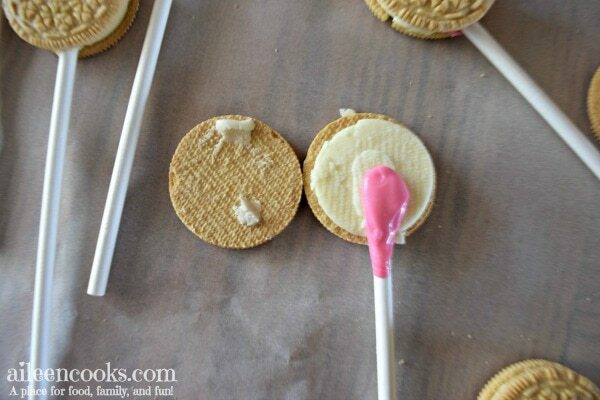 Next, dip your oreo pops into the pink candy melts. You may need to use a spoon to coat the entire cookie. Once coated, place the coated oreo pop onto a sheet of parchment. Continue to dip your oreo pops until you run out of pink candy melts. 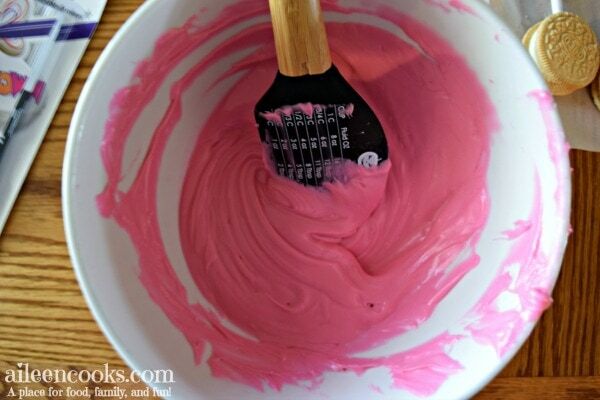 Next, you will want to sprinkle the pink sun oreo pops with pink sanding sugar. Let sit until dry, 2-3 hours. Now it’s time to make the orange sun oreo pops. Melt the two packages or orange candy melts as directed above. 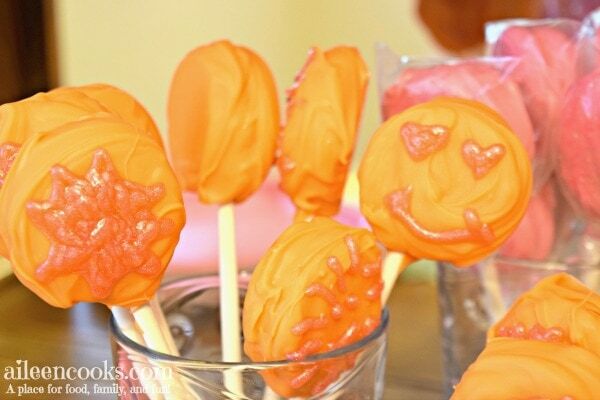 Using the remaining oreo pops you already made, dip them in the orange candy melts and let them dry on a piece of parchment paper. 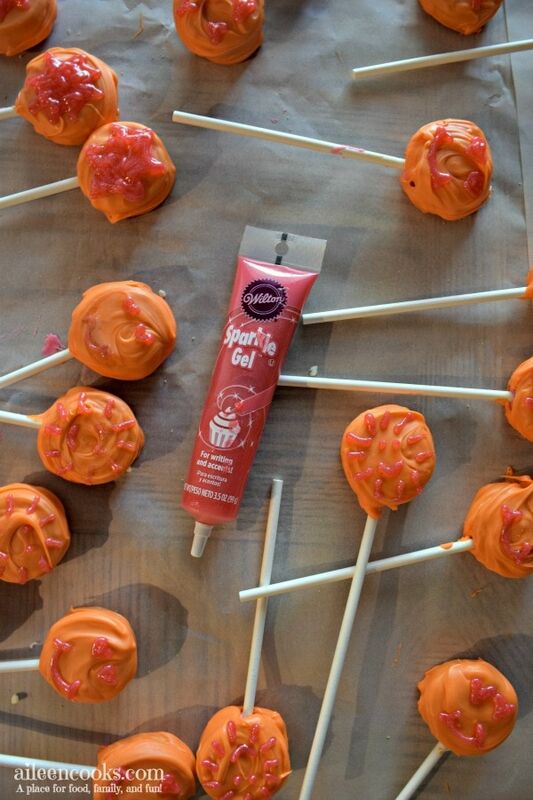 Once the orange sun oreo pops are dry, decorate them with your pink sparkle gel. I alternated between a filled sun, smiley face, and sun “dashes” with mouth and eyes inside. Let sit overnight, until dry. Once fully dry, carefully place your you are my sunshine oreo pops into treat bags and fasten with a pink twist tie.